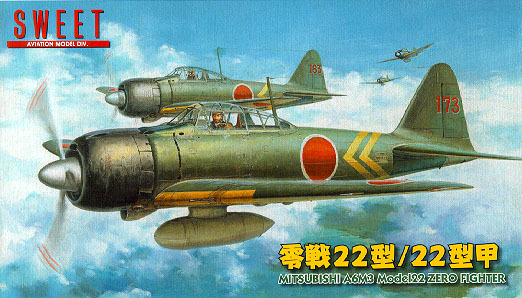 JAPANESE NAVY "Mitsubishi A6M3 Model 22 ZERO Fighter "
#14122 Mitsubishi A6M3 Type 22 ZERO Fighter kit, New tooling! 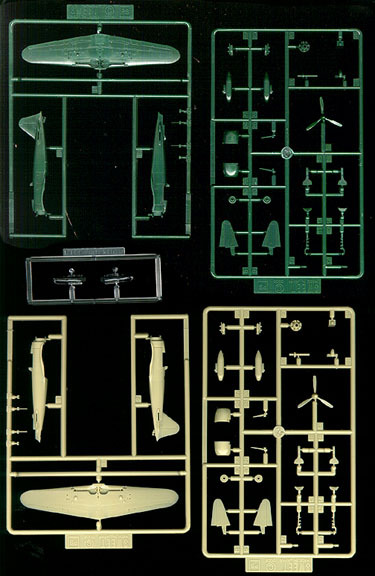 Finely molded parts; 0.3 mm thin clear canopy parts, Type 22 extended wings, larger engine cowling and shorter fuselage, landing gear structure, drop tanks and Type 3 "Air to Air" bombs. 2 complete aircraft kits in a box. 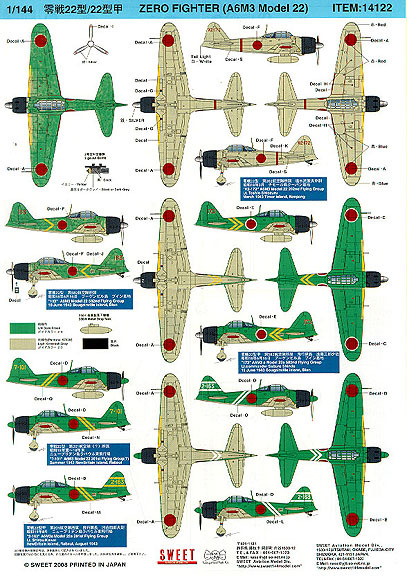 One is molded in IJN Greenish light gray and other is in IJN Black Green. Recessed panel lines and rivets. 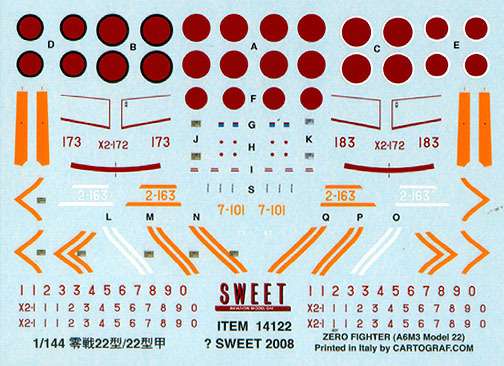 High quality decal, printed by CARTOGRAF in Italy includes Four Aircraft Markings from South Pacific islands bases in1943; Rabaul, Buin, Koepang. A colorful marking guide also included.